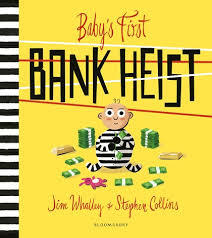 Baby’s First Bank Heist had an event during the launch tour at Rogan’s Books for this book, with the illustrator Stephen Collins. 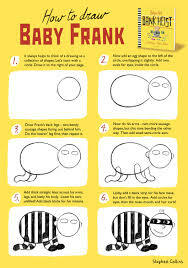 The children loved trying to draw baby Frank and he did a special doodle for everyone in their book! Oh, Baby Frank, how you make us chuckle. I asked Prim today what we should buy for two of her friends’ birthdays. Her immediate answer was ‘Baby’s First Bank Heist’! Baby Frank desperately wants a pet but Mum and Dad are having none of it. What’s a baby to do? Rob a bank of course! 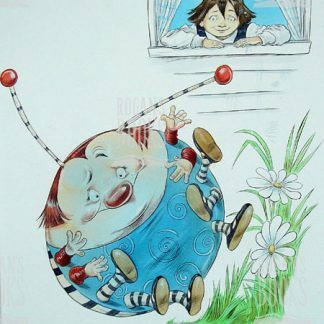 There are no lengths Frank won’t go to in order to get his pet, but will he be able to stop at one? 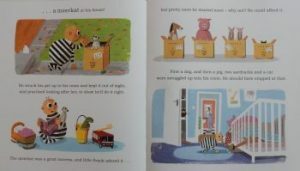 Stephen Collins’ illustrations are genius – colourful, bold and as vibrant as Whalley’s text. Frank goes from innocent, wide-eyed baby to master criminal with the quick addition of a bandit mask, and the animals he gathers are sneakily hidden throughout double page spreads; finding them provides much additional entertainment. My highlight is the sight of Frank on the bus, his romper suit stuffed full of coins and banknotes! 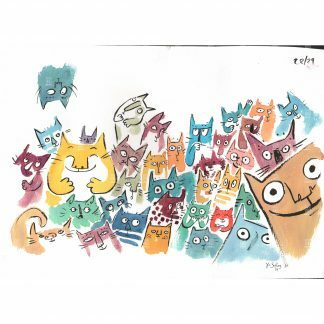 We were lucky to attend an illustrator event with Stephen at Rogan’s Books during Independent Bookshop Week 2018. During a brief chat with him, he mentioned that Jim had written this hilarious story for Collins’ eldest son’s first birthday. 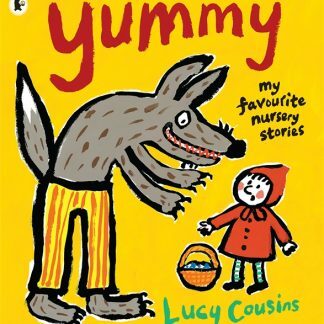 Collins decided to illustrate it and Bloomsbury published it. How lucky is the real life Baby Frank?! If you’re after a picture book with plenty of comedy moments and a superb writer/illustrator partnership, look no further. You will hear from Frank again …. as never fear, the sequel Baby’s First Jailbreak is out in July 2019!!! !